It ain’t easy successfully continuing a film franchise after decades have passed: audiences change, filmmakers change, society changes…it’s a real dice toss. After all: who wants to potentially tarnish prior glories and dampen whatever warm feelings fans might have garnered over the years? For every Fury Road (2015), you have a Godfather Part III (1990)…like I said: dice toss. Tasked with following up his own Alien (1979), Ridley Scott responded with a befuddling prequel, Prometheus (2012): part origin story, part gorgeous creation fable, it used the Alienverse as a springboard for a discussion on the creation of mankind and its inevitable destruction. Light on the franchise’s beloved Xenomorphs, Prometheus was its own beast, warts and all, although scarcely deserving of the derision piled upon it by franchise fans. For the follow-up, Alien: Covenant (2017), Scott doubles-down on the surface trappings of the Alienverse while neglecting to add the elements that made Alien so special in the first place: genuine heart and soul. Taking place a decade after Prometheus, Covenant introduces us to the crew of the titular generation ship that’s transporting thousands of cyrogenically-frozen colonists to a new home in a far-flung galaxy. We meet Oram (Billy Crudup), the ship’s second-in-command; Daniels (Katherine Waterston), this film’s Ripley; pilot Tennessee (Danny McBride); security-chief Lope (Demian Bichir); android Walter (Michael Fassbender, pulling double duty as sinister David); Karine (Carmen Ejogo), the resident biologist; and another half-dozen or so crew-members/cannon fodder. After a freak accident costs the team their captain (James Franco, in a walk-on), Oram makes the questionable decision to investigate a strange audio transmission that comes from a previously undiscovered planet. Despite the protestations of ultra-sensible Daniels, the crew adjusts course and are promptly marooned on a world that seems to serve as both paradise and necropolis. In short order, they meet the planet’s sole inhabitant, Prometheus’ David, and find out the terrible truth behind the dead planet they’ve found themselves on. 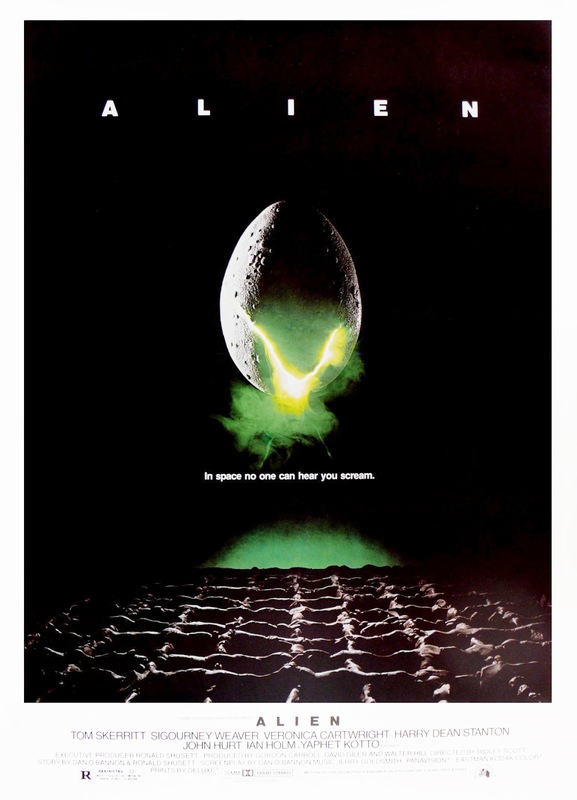 This is a film that strives to introduce new variants on the traditional Xenomorph (the new, albino version could have come from any of a dozen recent films) while shoehorning in scenes like the one where a hesitant character is practically goaded into sticking his head into one of the iconic egg pods, with the resulting re-introduction of the face-hugger coming not as an organic shock but a tired and foregone punchline to a bad joke. This is the worst case of “having your cake and wanting to eat it, too”: Covenant gorges on leftovers like they’re going out of style. None of the cast or characters stick in the mind after viewing, unlike the original. Katherine Waterston is a poor patch on Sigourney Weaver, her Daniels more a reactive agent of the story than any iconic hero. Crudup blends into the background, as does Bichir and, to be fair, pretty much any actor that isn’t Fassbender. This isn’t to say that he puts out career-defining work, mind you, just that his Walter/David combo winds up with the lion’s share of the film’s smartest material: talk about a stacked deck! On the plus side? The gore effects are plentiful and fairly juicy (for what that’s worth) and there are moments that approach the chilly, visual grandeur that elevated Prometheus to something beyond its B-movie trappings. The Pompei-inspired world surface is undeniably cool and the hints we get of a primordial source for the original contagion prove more tempting hints than anything substantial but I’d be lying if I said they weren’t both appreciated and well-done. Scattered moments out of a 2+hour film don’t really signify a smash success, however, no matter how you do the math. As someone who genuinely enjoyed and respected Prometheus, I really wanted Covenant to knock this out of the park: that Scott managed to whiff it so completely comes as a bit more than a disappointment. In truth, however, the film lost me from the get-go and never got me back: there was no point where this felt like anything more than the disposable middle entry in a longer, better series. From the unnecessary intro to the disposable characters…from the forgettable creature designs to the truly stupid script…from the terrible, Starship Troopers-esque shower scene to the tedious, frenetically-edited action beats…Alien: Covenant has very little to recommend it. There were plenty of great ideas here (the notion of an all-powerful mad scientist with a God complex trapped on a dead planet, by itself, is solid gold) but precious little in the way of skillful execution. Scott is capable of much better: he’s proven it, time and time again. By trying to please everyone, however, the pro and anti-Prometheus camps alike, Scott ends up disappointing everyone: neither significantly advancing the Prometheus storyline nor adding anything of value to the classic canon, Covenant just exists…nothing more. Despite wanting to begin October with the screening of Halloween and its sequel, I’ll need to actually start with a pair of my favorite films: TCM 1 and 2. There will probably be a few films added to Sunday, as well, possibly a separate double-feature, if time allows. 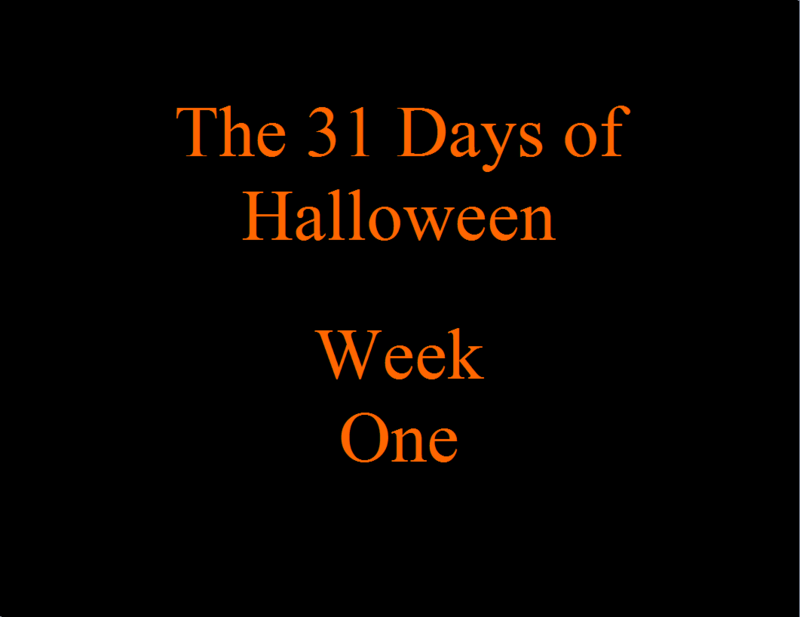 As in the past, the first week features a mix of old favorites and unseen films, with one exception: Halloween II. Although I’ve seen the film several times over the years, I’ve never warmed to it. Since my last screening was at least a decade ago, I figured this was as good a time as any to dust it off and give the film one last shot. Tastes change, so perhaps my tastes are more aligned with the film’s aesthetics, at this point. Of course, the movie could also be a stinking pile of crap: we’ll find out one way or the other tomorrow night. My “Foreign Horror Films” screenings for Sunday might also include a few ringers: I have a sneaking suspicion that neither Post Tenebras Lux or I’m Not Scared are completely horror films. Should this end up being the case, I’ll sub in a few others to help even the score. Minor issues notwithstanding, this is the beginning of what promises to be a very interesting October. Stick with us, enjoy the ride and, hopefully, you’ll pick up a few new seasonal favorites of your own. As always, don’t hesitate to leave your thoughts and opinions on any of the screenings: I’m always curious to know what others think of these films.